How Long Does Spice Stay In Your System and How to Detect It? Spice is another name for synthetic marijuana, and as it’s a relatively new drug, there’s no precise research on Spice effects, duration, and elimination. It’s believed that the drug will be out of your system within three days. However, it’s also possible that, just like marijuana, Spice can be detected up to five weeks. Can drug tests detect Spice? Yes, but only specialized tests. What’s more, people keep adding different ingredients in the drug, which makes detection more complicated and expensive. 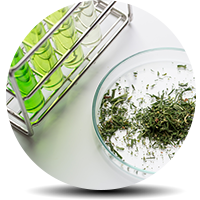 New urine tests can detect some compounds, such as JWH-018 and JWH-073, with a testing window of up to 72 hours. In rare cases, oral testing can find JWH-018 and JHW-250 from 24 to 48 hours. Spice or K2, some of the slang names for synthetic Marijuana, is one of the new drugs which popularity is increasing fast. Many factors influence the growing use of Spice, that’s for sure! One can even use their cooking herbs and add some chemicals, and, ta-da, Spice is ready. Also, the drug is more potent than THC. However, the fact that the drug can’t be detected by standard tests is the most appealing aspect for millions of users. What’s more, the drug is relatively new, and its effects and elimination haven’t been researched in humans. Still, it’s believed that users need up to three days to get clean. Do you mix Spice with other drugs? What is your overall health and diet? What are the exact ingredients? What’s the purity of the product? How are you going to administer the drug? Some of the primary compounds of Spice are JWH-018, CP 47497, and HU-210. JWH-018 is the main naphthoylalkylindole type of synthetic cannabis. When metabolized by the liver, many metabolites are obtained, mainly mono-hydroxylated. Research shows that metabolites, such as N-dealkylated, are more common in rat urine, not humans. The M1 metabolite is the most used one to show consumption of Spice. Spice effects are similar to THC but more potent. Peak levels can be achieved within 10-45 minutes; it’s even quicker when users inhale the drug. Spice half-life hasn’t been studied adequately, but it’s believed that Spice half-life is more than 3-4 days, which means that the effects of the drug last for more than a week. Have in mind, though, that sometimes you might feel weird and attribute that to the effects of the drug. However, that might be due to some long-term changes in the neurobiology caused by the drug. It’s interesting to mention that some Spice compounds have been researched more than others. JWH-073 has an elimination half-life of 74.2 minutes, which means one will need around seven hours to get clean. JWH-018 has a half-life of around 23 minutes, which means you’ll need only two hours to get Spice out of your system. Also, another element, AM-2201, has been studied in rats, with a half-life of one hour. Spice effects last between a couple of days and few weeks. Spice can’t be detected by standard tests. What’s more, people keep adding different chemicals when authorities ban a certain compound. Maybe only military personnel perform strict procedures on drug testing, including Spice. It’s most likely that the detectable levels are within 24 hours and just like with marijuana, Spice can be detected for up to five weeks after the last dose. How Long Does Spice Stay In Your Blood? There’s no precise research, but it’s believed that Spice stays up to three days in the system. How Long Does Spice Stay In Your Urine? New tests have been designed to detect Spice, mainly JWH-018 and JWH-073, with a testing window of up to 72 hours. How Long Does Spice Stay In Your Hair? Although hair tests have a long testing window, they are not used to detect Spice as designing a specialized test for Spice is expensive. How Long Does Spice Stay In Your Saliva? Oral testing is not common either, but JWH-018 and JHW-250 can be detected from 24 to 48 hours. Spice can be life-threatening, so before more data is collected, stay away from the drug. This way there’s no need to worry about testing and cut-off levels. Addiction Resource » Addictive Substances: The Anatomy of Drug Addiction » Spice – Is the Synthetic Marijuana Safer than Cannabis? » How Long Does Spice Stay In Your System?